The idea for this project began to form during my time in Eastern Ukraine from 2003-2005. In many cases I discovered that Ukrainians' way of doing things was better than what I had known before. "Better" is always a word needing qualification, and the qualifier differs in each case. 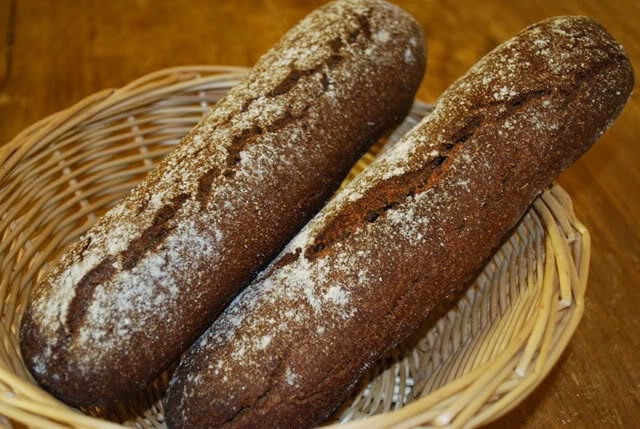 Take Ukrainian bread: It's better than the pre-sliced bread from grocery stores I was used to on dimensions of taste, nutrition, and texture; on the other hand, it was worse on dimensions of shelf life, tidiness (crumbs would fly upon slicing), and even PPP cost. The insight for me was that societies have comparative strengths and weaknesses developed over time in response to conditions on the ground. This goes far beyond food, which after all is largely a matter of taste and habit, and into the ways in which societies organize themselves economically in general. Each of these innovations eventually created a robust market in the United States by targeting consumers that had been over-served by incumbent technologies. Relative to the 'jobs to be done' of these consumers, the product characteristics of physical smallness, efficiency, and low cost were all attractive. Importantly, however, these products were not created in the United States: They were originally of, by, and for the Japanese market, where conditions on the ground differed markedly from those in the United States. Products initially created for obvious markets in Japan would eventually create much larger, though initially less obvious, markets in the United States. This happened dramatically and repeatedly from the 1950s through the 1980s. Many commentators on the healthcare industry in the United States have called for various avenues of disruption to the industry, which would broaden access, lower costs, and improve outcomes. Though the barriers to disrupting healthcare in the U.S. are many, I believe adopting new, disruptive models of delivery inspired directly by successful innovations from the highly constrained markets of the world is one route that will greatly help. Globalhealth.care, then, is a research project hoping to aid the transfer of these innovations, and thus aid the continuing betterment of the U.S. healthcare system.